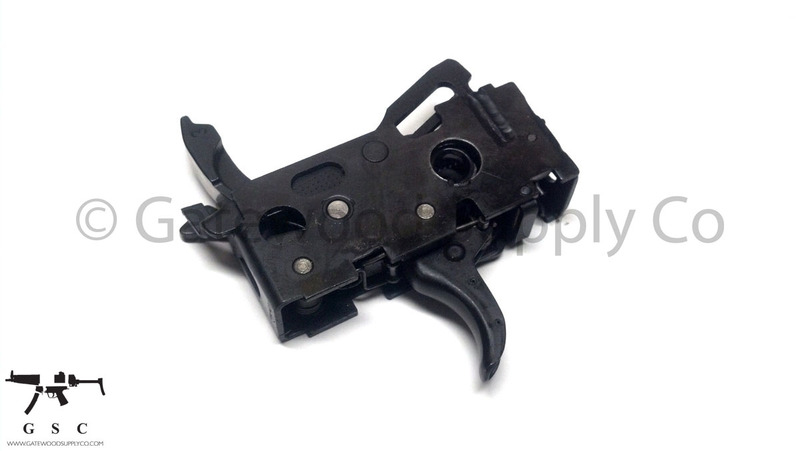 This listing is for a factory German Heckler and Koch MP5 / MP5K / MP5-SD burst trigger pack configured with 9mm ejector and hammer spring. This trigger pack is configured with a 2-round burst count wheel and can be used with a registered sear, registered receiver, or converted to work with semi-auto weapons. HK trigger packs can be re-configured for different calibers by swapping the ejector and hammer spring, and they can be re-configured for 3 or 4 round burst counts. These parts can only be used with ambidextrous housings and selector sets, and they are not compatible with SEF type housings or selector levers.